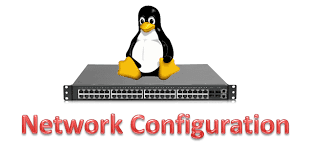 10 Network Configuration & Troubleshooting Linux Commands. Linux Configuration and troubleshooting commands. In Today's day to day lifestyle as computers are very common the use of networking is also increasing. when a network media connects two or more computers it is called computer network. Its the job of system or network administrator to look after the running and control of the network. in this article we will be featuring 10 rapidly used configuration and troubleshooting linux commands. Enter the command system-config-network in command prompt to configure network setting and you will get nice Graphical User Interface (GUI) which may also use to configure IP Address, Gateway, DNS etc. Host command is used to find name to IP or IP to name in IPv4 or IPv6 and also query DNS records. Using Host-t option we can find out DNS Resource Records like CNAME, NS, MX, SOA etc. ARP (Address Resolution Protocol) is useful to view / add the contents of the kernel’s ARP tables. nslookup command also use to find out DNS related query. iwconfig command in Linux is use to configure a wireless network interface. You can see and set the basic Wi-Fi details like SSID channel and encryption. traceroute is a network troubleshooting utility which shows number of hops taken to reach destination also determine packets traveling path.